MaxJongg is new original game based on the classic Shanghai Mahjongg solitaire. But it is not the same as many other 2D mahjongg games, because this one is a real 3D Mahjongg game. 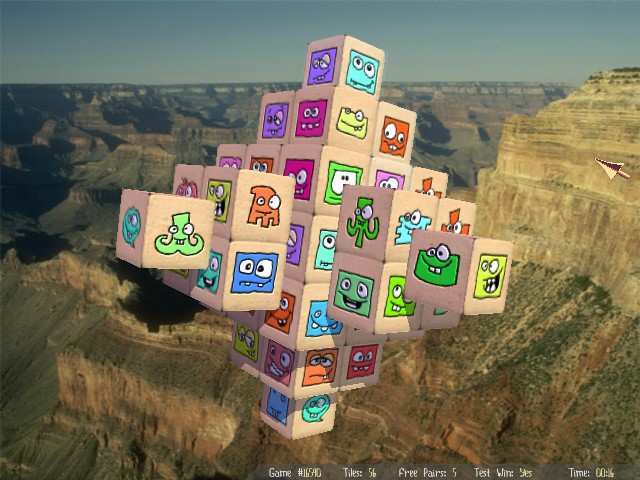 Now you have a real 3D cubic tiles with images on each side. This mahjong game features realistic 3D visuals, adjustable backgrounds and tile skins. Rules are similar to traditional mahjong solitaire, but here you have 6 faces per tile and a true 3D perspective – simply click on tiles by pairs to remove them, but they must both be free on the side you're playing. 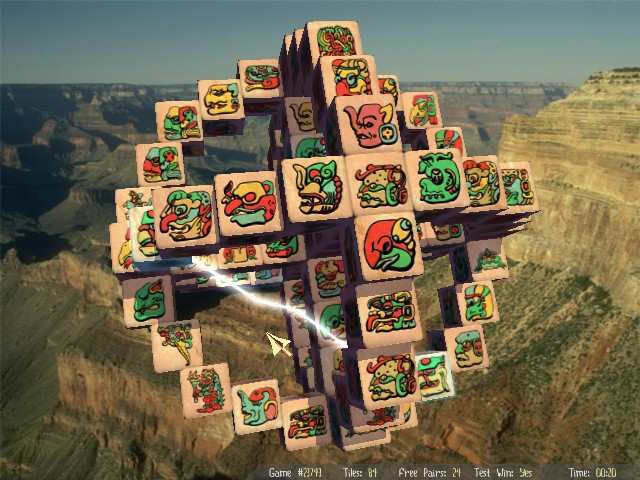 Besides being the only truly 3D mahjongg computer game, MaxJongg offers 79 layouts, 5 tile sets, 15 background pictures and 9 original sound tracks, impressive graphics and funny tile sets. 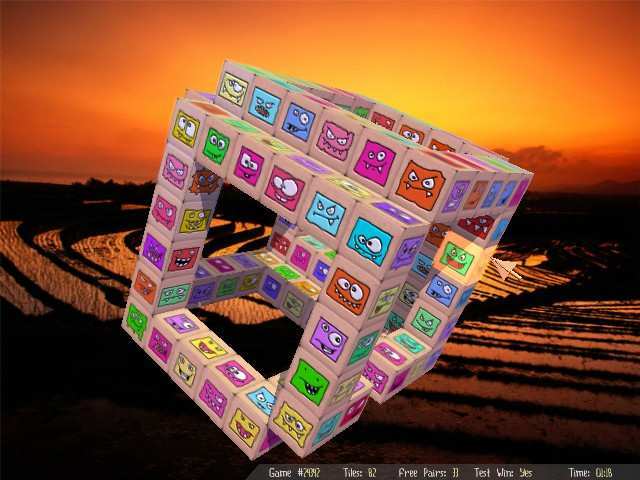 The sound effects are spectacular; the game comes with true 3D sound! MaxJongg is a great solitaire game that delivers long hours of fun and excitement. We have no player reviews for MaxJongg yet.